King Mohammed VI of Morocco has urged the members of the Competition Council and its new President Driss Guerraoui to remain true to the “neutrality, transparency, and independence” in their assessment of the country’s economic institutions. The remarks were made by King Mohammed VI Saturday just after he appointed Driss Guerraoui as new president of the entity and Mohamed Abouelaziz as its Secretary General. The Sovereign seized the opportunity to stress the importance of the Competition council in overseeing and regulating free market practices in Morocco. The Competition Council is tasked with supervising the implementation of good governance guidelines and ensuring the responsiveness of government institutions. It is also tasked with preventing anticompetitive practices and promoting a fair competition environment. The appointment of a new president of the Competition Council means the revival of this entity that has been in lethargy after the term of its previous members came to an end in 2013. The Moroccan business community will undoubtedly welcome this revival as the institution is tasked with overseeing the respect of free market rules by regulating competition among different market stakeholders. The council will particularly conduct analysis to regulate market competition and check anti-competition practices as well as any operation that increases economic concentration and monopoly, the statement added. The body conducts studies on Morocco’s socio economic developments and makes recommendations to the parliament or the royal palace. Morocco, a recognized hub for investments and doing business, has embarked on a series of reforms to modernize its economy, upgrade its good-governance and improve its competitiveness records. Prior to his appointment as president of the council, Driss Guerraoui, an economist and university professor, was secretary general of the economic, social, and environmental council (CESE) since 2011. Also on Saturday, King Mohammed VI appointed Omar Seghrouchni as President of the National Commission for the Control of Personal Data Protection (CNDP). This Commission is entrusted with protecting individuals during their personal data processing. The institution is responsible for verifying that personal data processing is lawful, legal and does not violate privacy, fundamental rights and freedoms, the Royal Office statement said. 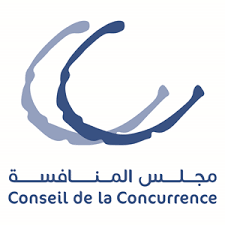 During the audience, the King instructed Omar Seghrouchni to see to it that the Commission strengthens its mechanisms and means to be in tune with technological and legal developments, for a better protection of citizens’ rights and the personal character of their data. Posted by Hafid El Fassy on November 18, 2018. Filed under Business, News, Zoom. You can follow any responses to this entry through the RSS 2.0. Both comments and pings are currently closed.